Female students in Grades 7 & 8 from the Halton Catholic District School Board are invited to gather for HCDSB’s Young Women’s Summit. The summit features a career carousel and interactive panel of female professionals that will expose students to a variety of pathways. Education, career, life planning helps our students choose pathways that lead to successful, fulfilling careers. 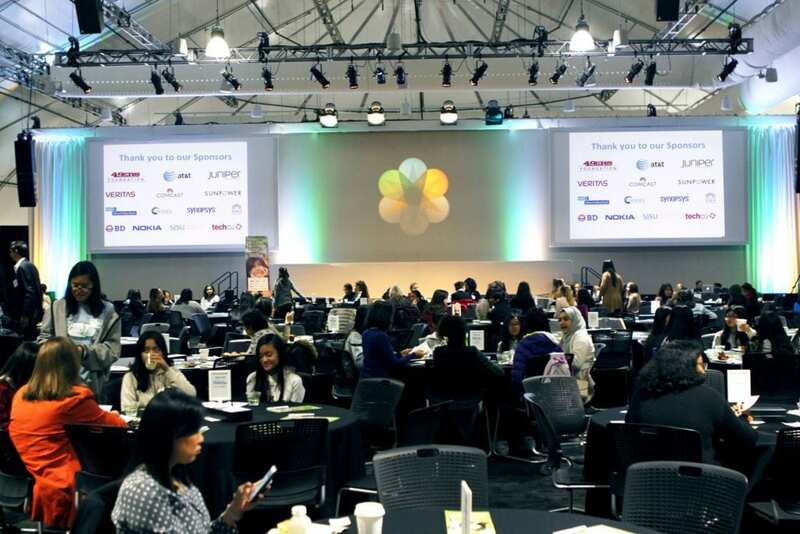 Young women are encouraged to explore careers,includingmale-dominated industries,and recognize their potential to revolutionize the future of the workforce. 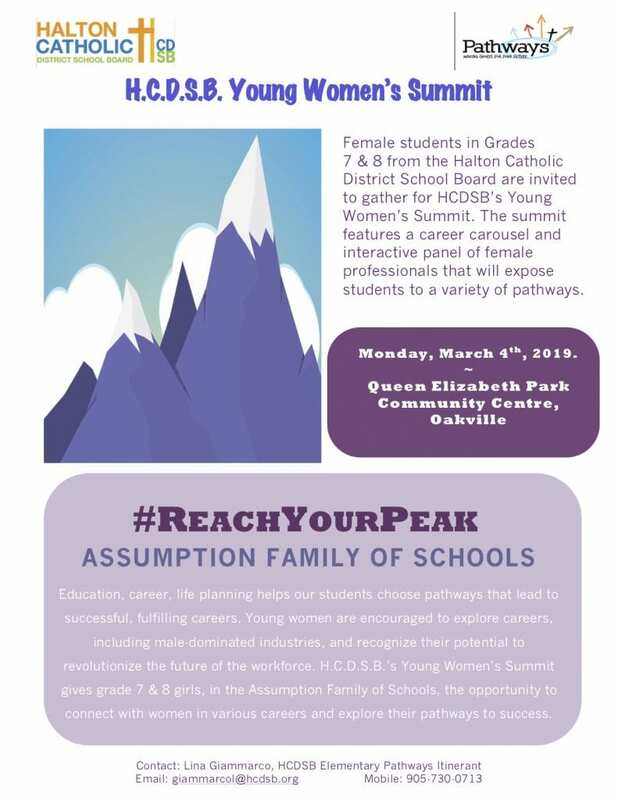 H.C.D.S.B.’s Young Women’s Summit gives grade 7 & 8 girls, in the Assumption Family of Schools, the opportunity to connect with women in various careers and explore their pathways to success.